Engagement Rings: Silver or Gold? 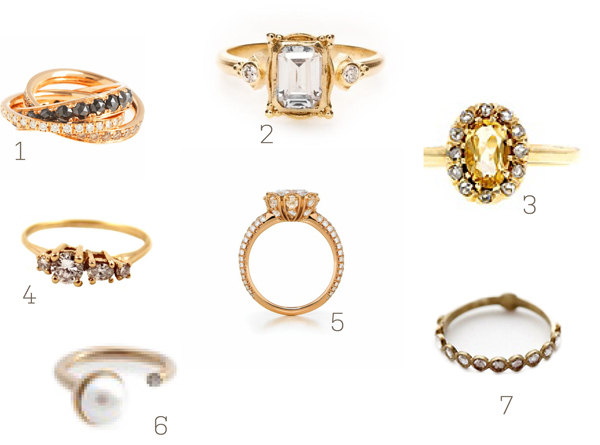 Do you wear (or want to wear) a silver or gold engagement ring? I always thought I’d wear gold, but then I saw this mixed metals ring which is so pretty. There are actually three separate rings—wouldn’t it be fun to wear the rose gold crescent by itself on days you felt like keeping it simple? Agreed, rose gold is unique and beautiful. 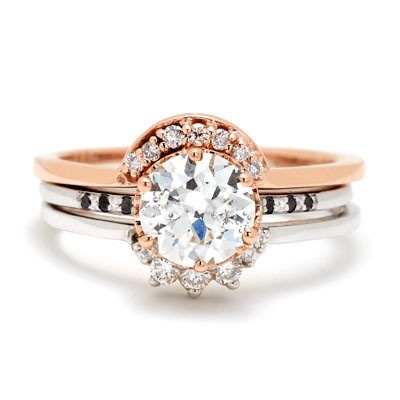 I hope to have a rose gold ring someday! Though my friend has a silver engagement ring and rose gold wedding band and it looks stunning. Ultimate set of gold and silver rings special made for engagement purposes. No doubt about that women will not like these rings.